As a learning experience [GeriBoss] put together an IR remote control receiver board for his PC. His want of volume control from across the room was reason enough to undertake the project, and he got to work with a 38 kHz receiver module and Manchester encoding in the process. 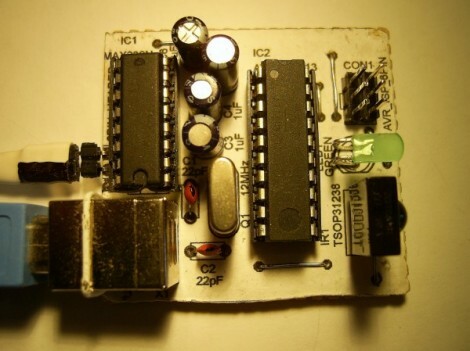 The decoder portion of the project is built around an ATtiny2313 chip. The external interrupt pin (INT0) is connected to a TSOP31238. When it decodes a valid remote code it pushes a character to the RS232 chip connecting to the computer’s serial port. We think this is a wonderful accomplishment for [GeriBoss], but we encourage him to refine the design further. You’ll notice in the image there’s a USB port on the board which is only used to provide regulated power. We know it’s possible to use V-USB with the ATtiny2313 to add USB functionality and this would be a great way to learn about it. We’d also like to mention the resistor and capacitor suggested for filtering the IR receiver module signal. We’ve included the recommended application schematic for that part after the break. 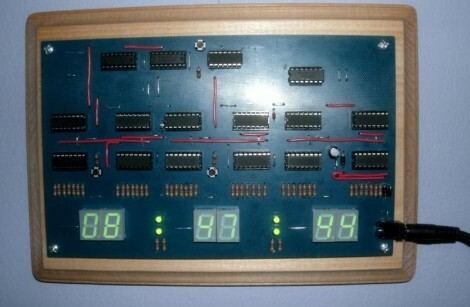 Here’s an IC logic project that displays 24-hour time. Planning was the name of the game for this project. [Mattosx] took the time to layout his design as a PCB in order to avoid the wiring nightmare when build with point-to-point connections. Much of the complexity is caused by the display itself. Each of the six digits has its own binary-coded decimal chip and array of discrete resistors. Timekeeping is handled by six decade counters, two divider chips, one AND gate chip, and one OR gate chip. He chose a SOIC crystal oscillator chip as the clock signal. 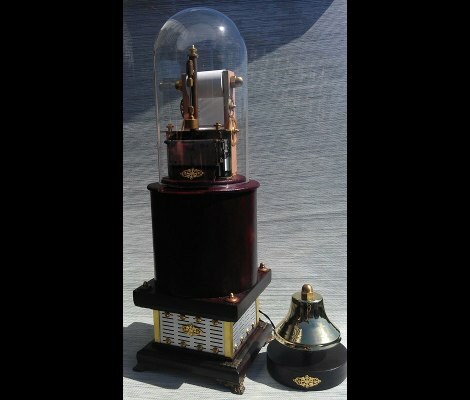 We’re more partial to the idea of using mains voltage as the clock signal. [Mattosx] posted the board artwork if you’d like to etch your own 5″x8″ PCB. Just make sure you read through all of his notes as not all of the chips are oriented in the same direction. When you’re building something that hasn’t been done before, sometimes the parts you need just don’t exist. [Bacteria] over on the Made by Bacteria forum is building a huge all-in-one video game machine, combining hardware from 16 different consoles released through the years. This build requires a way to switch the video output between consoles, so [Bacteria] made a gigantic 18 pole 16 throw switch. The build began with [Bacteria] sourcing a few 8-pole switches. Of course this switch was too small to toggle between the 16 output lines for each system, so these switches were doubled up and activated by a single button. This system worked, but the results weren’t ideal. [Bacteria] gave in to the temptation of building his own switch by using spring-loaded metal nuts as the contacts for each part of the switch, allowing him to switch between consoles with a simple sliding contact. So far, it looks like [Bacteria]’s Project Unity is shaping up nicely. We’ve seen a bit of the controller portion of [Bac]’s build, and already it’s shaping up to be a wonder of retro gaming. You can check out [Bacteria]’s breakdown of his switch after the break and his Instructable here. This visually stunning tape ticker prints out [Horatius Steam’s] emails for him. It watches his email address for a secret trigger phrase in the subject line. Sure, thermal receipt printer projects are becoming rather common, but we can’t remember seeing one that took this much time and effort to make it into a showpiece. The two parts that make this happen are the thermal printer with cutter module and the glass dome which is just large enough to house the business end of it. The driver PCB for the printer is hidden in the base (a paper tube which is painted to took like wood), which positions the outfeed near the bottom of the dome. This had the added benefit of leaving plenty of room for [Horatius] to proudly display the paper roll. Since the receipt printer is designed to work with a Windows machine there was no custom circuitry necessary. 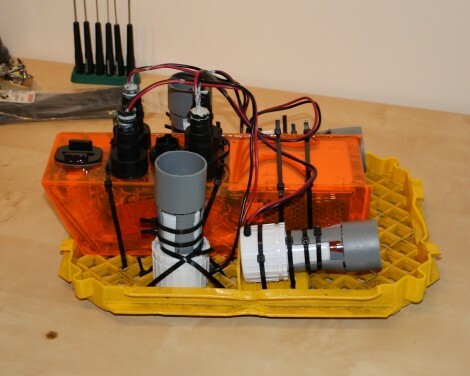 [Eirik] wrote in to share the build log for the third iteration of his underwater ROV. The first two project were completed and tested (you may remember reading about it back in January), but both had issues that caused general failure. Most notably, the introduction of water where he didn’t want it. But this time around he seems to have gotten everything right, successfully taking this little guy down to twenty meters without a leak. One of the problems he had on version two was supplying electricity from the surface. 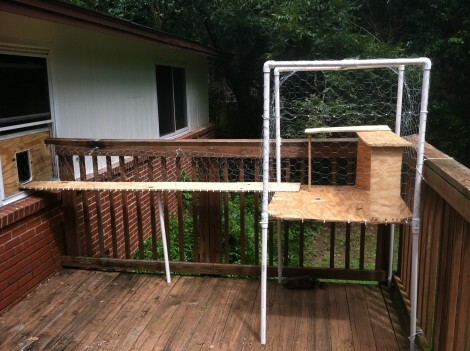 He needs 12V at up to 10A, and had to use a tether made of 14 AWG to make it happen. That’s a lot of heavy wire to be hauling around and it made the ROV virtually unable to move itself. He wanted to go back to using Cat5e cable but it won’t handle that kind of current. He ended up using an inverter at the surface to up the voltage to 130V, and a switch mode supply on the ROV to get back to 12V. This caused noise on the data lines which he fixed by adding a full-wave rectifer to the inverter’s output. The dive video after the break shows off the crystal-clear camera shots this thing can capture. AVR programmers can be bought for just a few dollars on the Internet, but if you’re building an expansion board with an AVR for your Raspi, this is the build for you. It’s a safe way of programming an AVR via the Raspi’s GPIO pins that uses an extremely minimal circuit. The AVR ISP interface looks a lot like an SPI interface, and the easiest way to program an AVR with a Raspi would be to bitbang all the commands from the GPIO pins. Sometimes, though, the logic of the AVR and Raspi would be at different levels, so while bitbanging may work in a pinch it’s not something anyone should use regularly. To get the Raspi and AVR talking to each other safely, [Steve] built a small circuit from a 74244 buffer and a FET. With the added support for Linux GPIO avrdude programming, it’s a snap to program an AVR with a Raspi. A few days ago we ran across a hugely overwrought PIC programmer for the Raspi, so we’re glad to see another round in the PIC/AVR holy war go to the AVR camp. Thanks [Mateusz] for sending this one in.